If you’ve been reading Natural Papa for a while, you know that homebirth is something I like to talk about and to promote. Not because it’s for everyone, but because I feel that homebirth is a viable option for many couples, and I see the need for more resources for dads who are interested in it (or whose wives are leaning that way and who may not be comfortable with the idea). One of the people I found to participate in the Homebirth Dads: 10 Questions series was Jorge Cuevas, who produced the Homebirth Dads video. He was kind enough to send me a review copy of the DVD, and I’d like to share my opinion of it with you. Homebirth Dads is a great introduction to the idea and experience of homebirth, told through the words of fathers. It’s about an hour long, and six dads are interviewed, with each one answering the same set of questions. The questions are remarkably similar to those I asked in my 10 Questions series, even though I had never seen the video before I formulated them. I think that really speaks to the universality of the questions that dads have about homebirth. The questions discussed in the video range from “Whose idea was it to have a homebirth?” and ”Does insurance cover homebirth?” to “What was your role during the birth?” and “How did you decide on a midwife?” In all, I believe there were 18 questions, and I really feel that the video would be useful to any father-to-be, or an experienced father who is considering a homebirth with his wife. One of the highlights for me was when one of the dads was speaking about the feeling of catching his child, and his face lit up as he answered. The tears in his eyes helped to capture the incredibly powerful experience of birth in general, and homebirth in particular. Another moment that was especially poignant was when the men spoke about how they viewed their wives so much differently during and after the birth, speaking with admiration and love for the power and surrender that every birthing woman has within. The transitions between interview answers are photos of the men with their children, either right after birth, or sometime later (with the baby asleep on their chest or something similar). Probably the most powerful photo that I saw was of a dad kissing his newborn, and a look of absolute love and amazement on his face. You could tell that he was just blown away by the experience. I think that seeing men in that most vulnerable place of caring for, and loving, these tiny new beings, our flesh and blood, is a riveting visual, an example of the dichotomy that makes a man a dad: strong, yet ultimately soft and compassionate. I would like to see more of that in our culture. 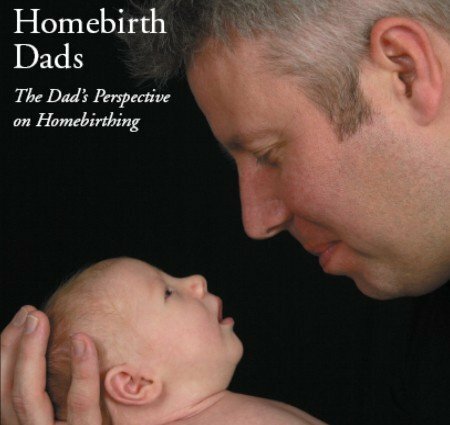 If you’re searching for a gift for the man in your life, or you’re a dad considering homebirth but have many questions, the Homebirth Dads video is a great choice. It’s available at HomebirthDads.com, and for only $25, it’s a sweet deal.